Royal Northern Sinfonia and the BBC Symphony Orchestra. Iain has also performed at the BBC Proms, recorded for Seth McFarlane and performed with Lady Gaga and Tony Bennett at the Royal Albert Hall as part of a gala evening in support of WellChild. 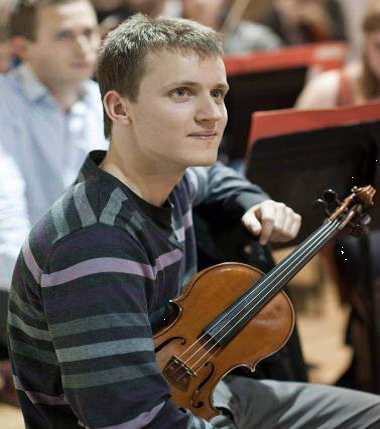 Iain has previously performed with the Havering Concert Orchestra in June 2012 (Vaughan-Williams’ Lark Ascending) and June 2014 (Beethoven’s Violin Concerto). He plays a 1928 William Hill violin, generously lent to him.